Tim Lay and Dr Jonathan Newman explain how a European bike tour is boosting research, challenging assumptions and winning support in the journey towards widespread medical cannabis legalisation. Cannabis, cancer and cycling may seem like a rather strange combination, but it is a combination that provides the foundation for a rather unique form of social activism with ramifications for medical health. The Medical Cannabis Bike Tour (MCBT) is a non-profit organisation that has been raising money for medical research into the potential of cannabis as a treatment for cancer. Since the bike tour began in 2012 it has taken its message to a different part of Europe each year. The 420km, three-day sportive has been to Spain, Italy, Slovenia, Austria, Germany, Holland and the Czech Republic, and the number of riders increases every year. The MCBT has become something of a rallying call for medical cannabis, and over the past six years its popularity has seen riders and support team volunteers arriving from around the world to get involved. Participants include cannabis users and non-cannabis users. From its inception, the distinctive racing yellow cycling tops have created a visual impact for publicising the cause of medical cannabis. How did the Medical Cannabis Bike Tour begin? Back in 2012, medical cannabis was in its infancy. North America’s cannabis industry was mostly illegal and the picture in Europe was little different. With little to offer investors in regard to a controversial product, many excellent research groups struggled to secure funding to test the medical qualities of cannabis. Those frustrations were also felt by people in the legal European cannabis industry (those selling the means to produce cannabis, from seeds to grow equipment), who were following the available research on cannabis and saw the contribution the plant could make to medical science. As scientific and anecdotal articles about the benefits of the plant proliferated on the internet, the European legal cannabis sector witnessed increasing numbers of people approaching them with questions about medical cannabis. Patients seeking alternative treatments contacted the cannabis industry looking for help, and many were people nearing the end of terminal illness. It was from this environment that the Medical Cannabis Bike Tour sprung. 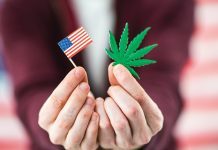 Two cannabis industry insiders regularly followed the bulletins of the research consortium the International Association of Cannabinoid Medicines (IACM), which details the latest international research and legal changes on cannabis. 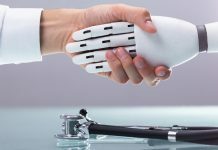 The pioneering work of a team led by Dr Manuel Guzman and Dr Guillermo Velasco from Complutense University in Madrid stood out. Their research suggested that a combination of cannabinoids and other anticancer agents can eliminate GICs (glioma initiating cells) which fuel brain tumours. The findings are significant as the population of GICs impedes the effectiveness of conventional brain cancer therapies. So, a sponsored bike ride was organised to raise money for this research programme. This year, the bike tour’s fundraising efforts will result in an independently funded clinical trial that tests the effectiveness of the cannabinoids THC and CBD (tetrahydrocannabinol and cannabidiol, two of the active compounds found in cannabis) as a first line therapy treatment, used in combination with other anticancer drugs. 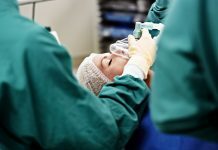 The trial, conducted on patients recently diagnosed with glioblastoma, will take place in Spain and will be overseen by the neuro-oncological research organisation El Grupo Español de Investigaciónen Neurooncología (GEINO). By using sport to raise awareness of medical cannabis, the bike tour set out to challenge negative stereotypes associated with the cannabis plant which stood as an impediment to carrying out medical cannabis research. “People have in their heads an idea of what cannabis is,” explains Luc Krol, who owns Amsterdam seed bank Paradise Seeds and is the tour organiser. “When they see the bike tour go past, they see cyclists. It’s only when they look closer that they see the mention of cannabis on the jerseys. Some of the tour participants are cannabis users, others are not, and many of us have been lifelong cyclists. We hope to challenge preconceptions and change the way people think about medical cannabis. “Since we began the tour, the use of medical cannabis has become more widely accepted in society at large across Europe. Once people get over their preconceptions, once they see that it can have a positive effect on the health of those close to them, many of whom have no previous association with cannabis, then attitudes inevitably start to change. As evidence grows on the utility of cannabis, the legal path is structured by other legislation, and significantly cannabis remains listed on the 1961 UN Single Convention on Narcotic Drugs. 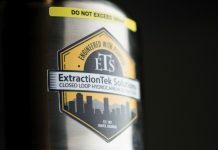 The medicalisation of cannabis goes hand in hand with extracting the component parts of cannabis for various treatments. 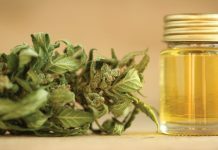 The World Health Organization recently concluded that one such component, CBD, “does not appear to have abuse potential or cause harm” and so de-scheduled the extract, leaving national legislators to determine legal status. Nationally, laws about medicines come into play in a difficult exercise of categorisation. When the UK regulator of medicines and healthcare products, the MHRA, decided in 2016 that CBD was a medicine that required licences in the supply chain, they followed Article 1 of Council Directive 2001/83/EEC included as Regulation 2 of the Human Medicines Regulations. For small to medium businesses, personal values dominate business ethics. The majority of the MCBT sponsorship comes from those operating in the legal cannabis sector, so from the outside the MBCT might look like opportunistic cannabis traders trying to further their own profits by joining the cancer bandwagon. Yet, the possibility that cannabis, which has built their businesses, also has the potential to cure certain cancers means that there is a moral as well as economic imperative driving most of the riders and sponsors. Almost everyone on the MCBT has a connection with cancer, through personal experience with family or friends. The people involved with this ride are hard-working, taxpaying business people who share with other business communities conservative values of individual responsibility and collective contribution. Nevertheless, they feel oppressed by laws that restrict their businesses and criminalise cannabis users. On the ride, two subjects dominate evening conversations: cycling and cannabis. The former is about routes, hills, pain, elation and bikes; the latter is about the quality of breeds and flavours, medical research, and arrest and prison. The laws on cannabis, which are often idiosyncratic, vary greatly between European regions, countries, towns and even parts of a town. 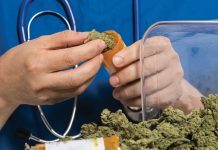 While there appears to be a movement towards greater acceptance of medical cannabis, for those in the business, that journey has been a flip-flop of changing measures. Coming into contact with so many patients has also changed them, exposing a moral crisis in the law that has reignited activism. The oppression used to be focused on their own cannabis culture, creating a stigma that, over the years, some began to absorb. But after seeing dying patients criminalised for trying to use cannabis to survive, for many of those involved, as well as the wider public, the illegitimacy of the law became undeniable. Rights to health conflated with rights to use cannabis. After years of being made the pariah by governments, people on the MCBT are fighting back, not with angry protest but with a positive contribution. The medicalisation of cannabis allows the cannabis industry to give something back to society on the key social value of health. The MCBT follows a familiar model of sporting philanthropy which, like so many other charity events, mixes fundraising with visible sponsorship. However, beneath these yellow jerseys is activism against medical and social injustice. For a while, the MCBT were pioneers, trying to bring much-needed knowledge to the field of medical cannabis research. As North American legislation transforms the cannabis landscape, corporate scale investment and business practices may still muscle out the sort of independent research where investment in knowledge takes priority over investment in a product. The MCBT was born out of the problem of profit-driven research funding and the organisers will be keeping a close eye on quality medical cannabis research that needs funding. This road trip is not over yet. Tim Lay is a freelance journalist who became involved with the bike tour after losing both parents to cancer. Dr Jonathan Newman is a social anthropologist at the University of Sussex who studies the cannabis industry. I have ridden the MCBT for four consecutive years an will continue to do until my legs will not allow me.